Science books may soon be rewritten after the discovery of a new state of matter with a cool name: the Jahn-Teller metals. Although this new discovery is still at its early stages, with the scientists involved not yet able to find practical applications for these metals in the “real world”, it has made a lot of people in the scientific community excited. Now, what makes Jahn-Teller metals exciting, anyway? Well, this state of matter is unlike any other – because the metals in this category have excellent qualities which could make them useful in creating tomorrow’s highly effective high-temperature superconductors. According to Science Alert, Jahn-Teller metals “appear to be an insulator, superconductor, metal and magnet all rolled into one”. 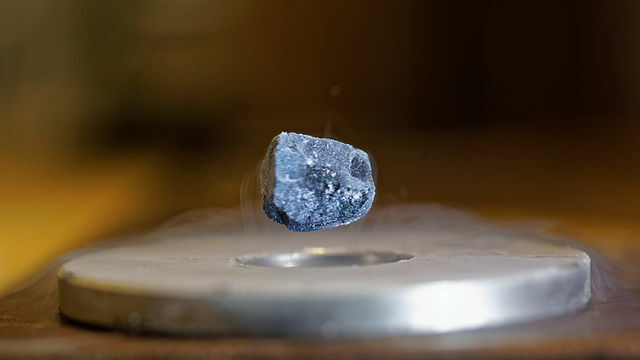 Just in case you missed it, we’d like to point out that this state of matter is both an insulator and a superconductor! Isn’t that amazing? Produced in the lab, these metals might soon become the future of superconductors – ones that conduct electricity without any resistance, even in the form of energy release (such as heat and sound). Although very promising in terms of future practical applications in the field of superconductors, the Jahn-Taller metals might not be readily available for public use anytime soon. After all, these metals do not occur in nature but must be produced in the laboratory. Also, the procedure for their creation is not as easy as we would like it to be. It involves the use of rubidium and buckyballs (Buckminsterfullerene or carbon-60). This is what the rubidium atoms do: apply pressure. Usually when we think about adding pressure, we think in terms of squeezing something, forcing its molecules closer together by brute force. But it’s possible to do the same thing chemically, tweaking the distances between molecules by adding or subtracting some sort of barrier between them – sneaking in some extra atoms, perhaps. What happens in a Jahn-Teller metal is that as pressure is applied, and as what was previously an insulator – thanks to the electrically-distorting Jahn-Teller effect – becomes a metal, the effect persists for a while. The molecules hang on to their old shapes. So, there is an overlap of sorts, where the material still looks an awful lot like an insulator, but the electrons also manage to hop around as freely as if the material were a conductor.